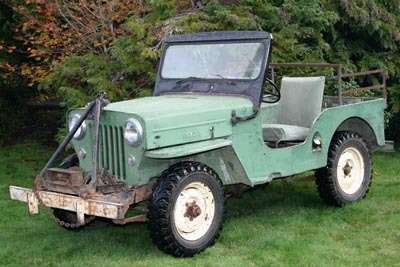 This 1957 CJ-3B was sold as surplus around 1970. 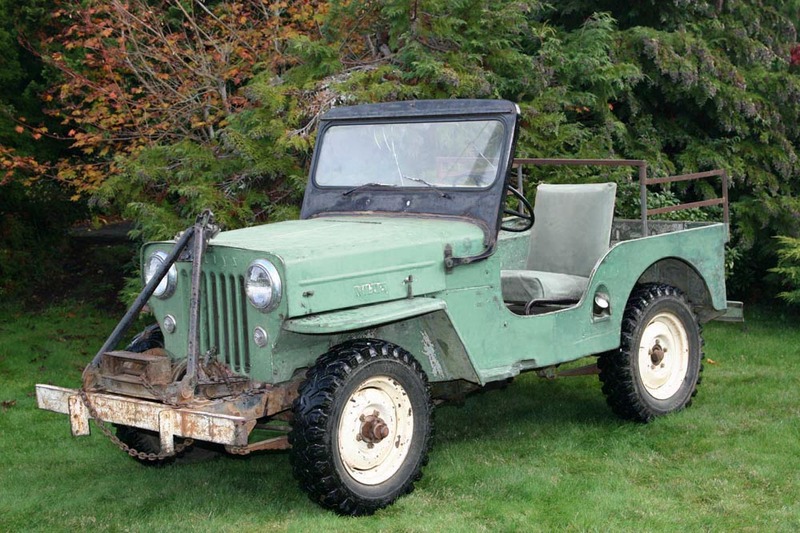 It was later repainted red and ironically taken across the border into Canada, where it now belongs to John Howcroft in British Columbia (see 1957 CJ-3B Owners and Photos). 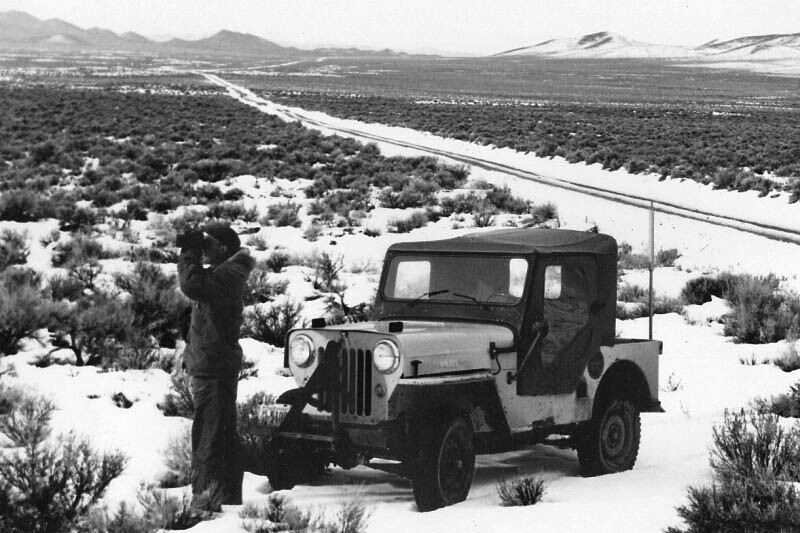 Under the hot Texas sun near the Rio Grande River on 29 June 1961, this patrol Jeep surprsingly has a halfcab hardtop, rather than the canvas top seen above in the snows of Nevada. 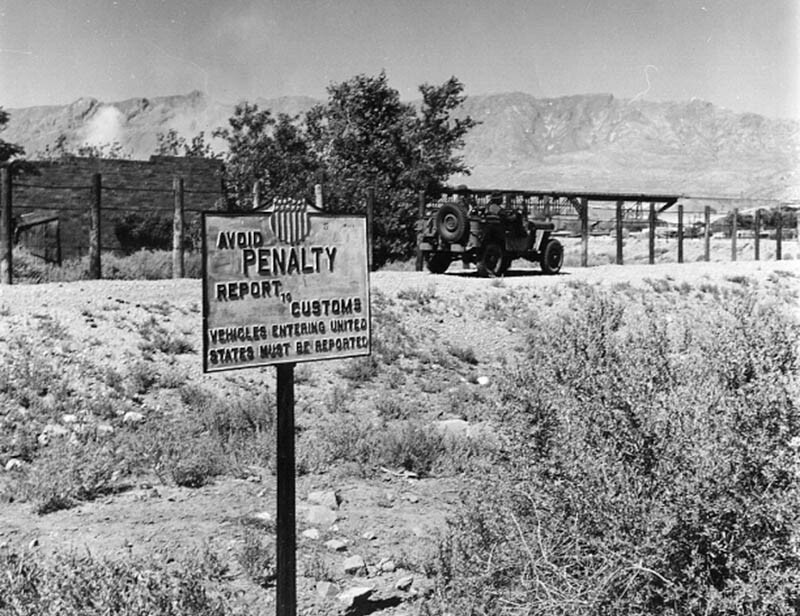 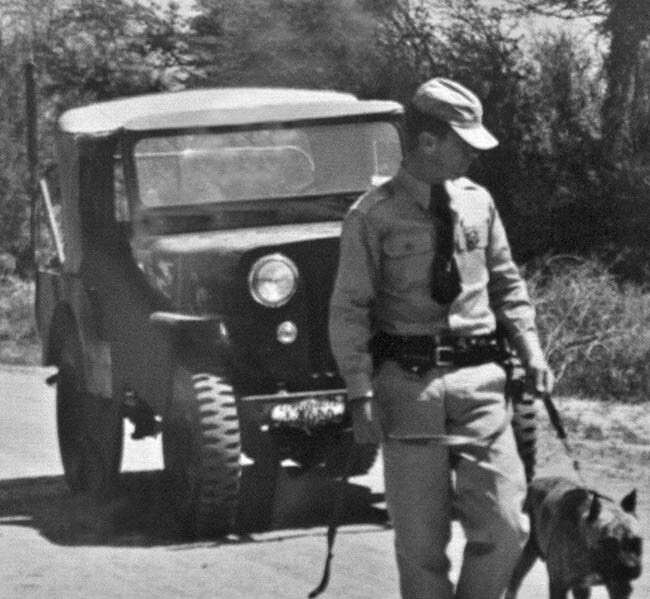 These archival photos are courtesy of the National Border Patrol Museum in El Paso, Texas. 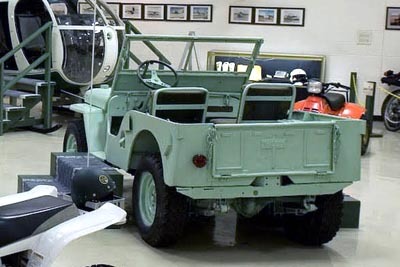 The Museum opened its doors to the public in 1985, and its new building was completed in 1994. 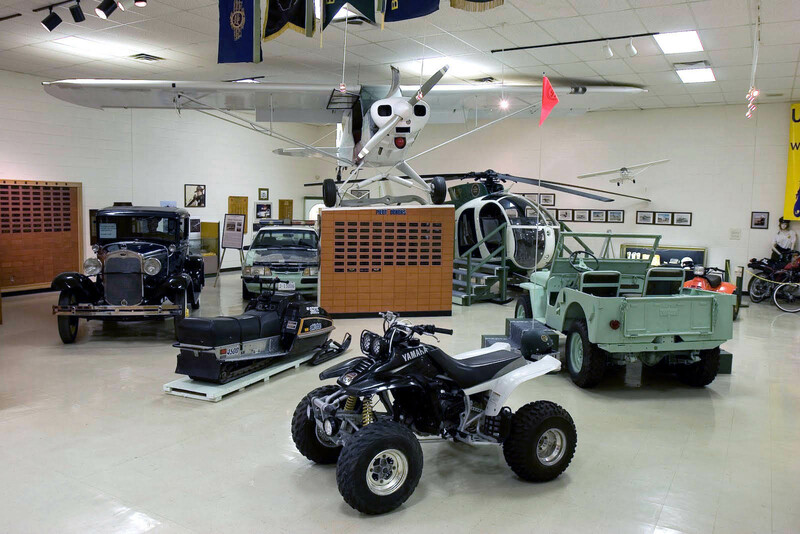 It does not rely on government funds for its operations and does not charge any admission fee, but gratefully receives private donations. 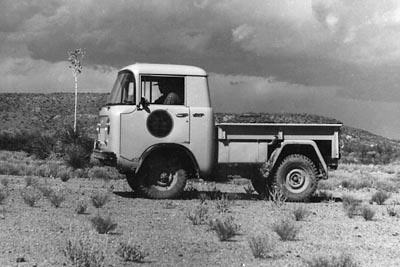 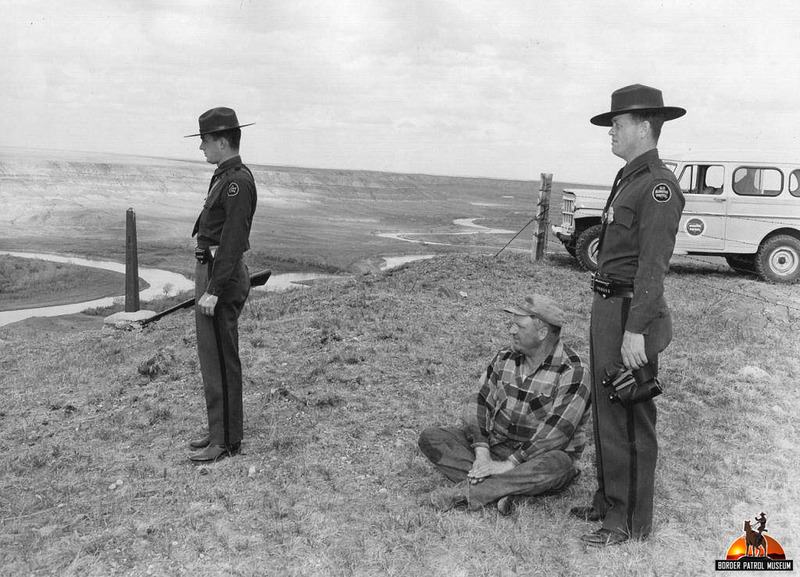 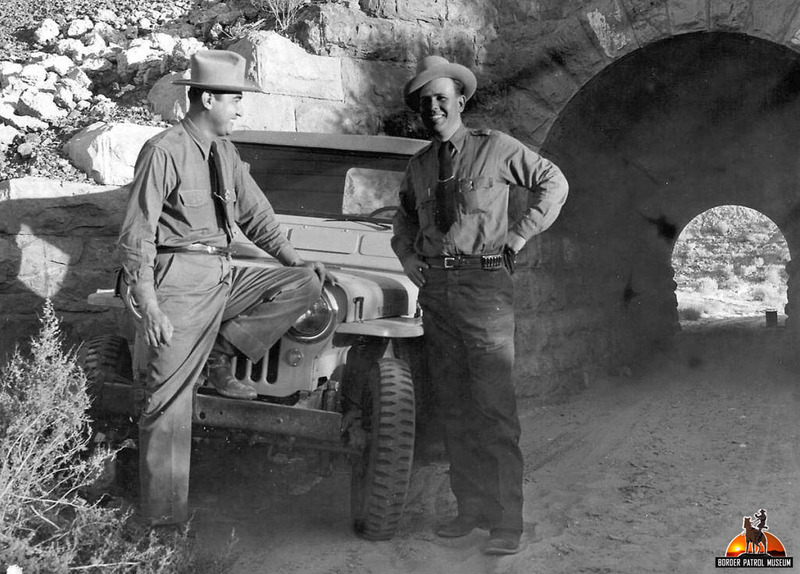 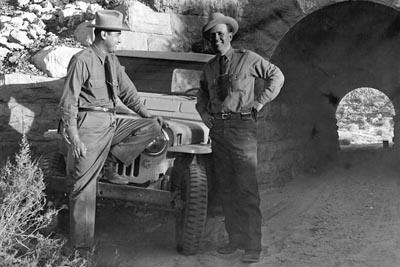 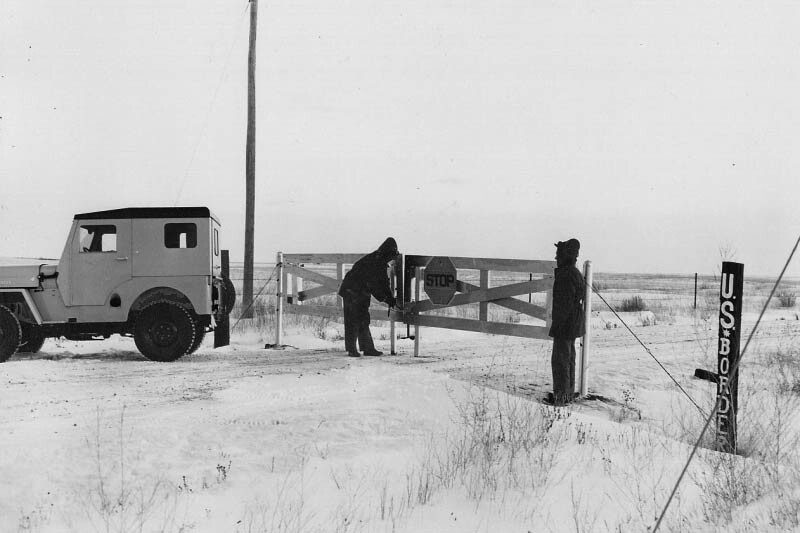 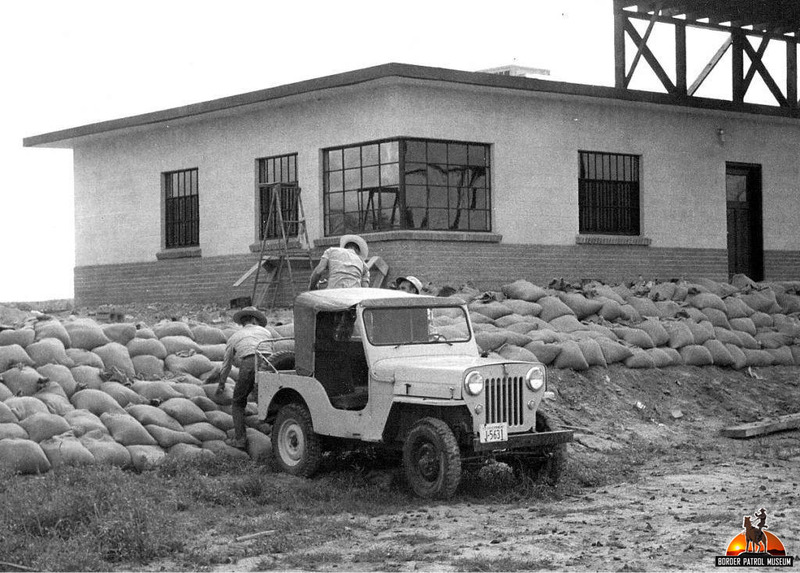 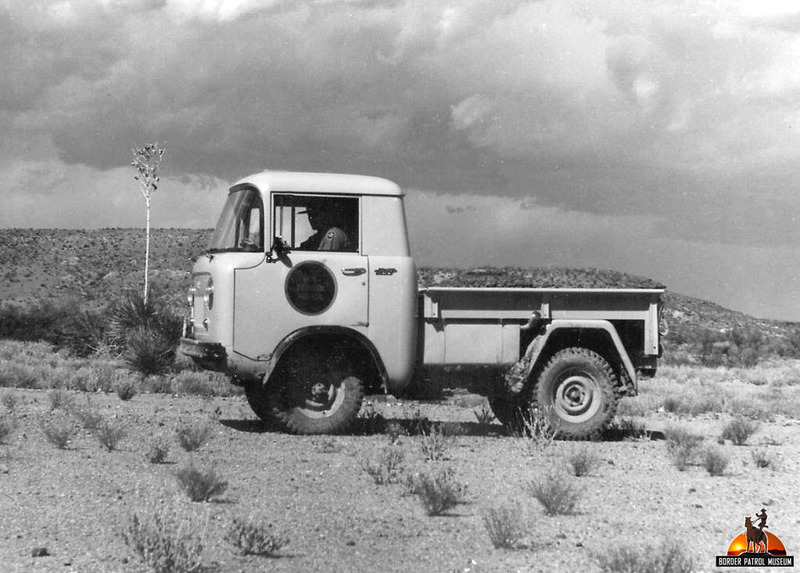 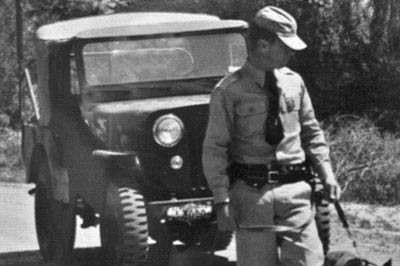 Surviving black & white photos show that USBP CJ-2As were originally painted in what appears to be a darker green, but may have been repainted when the lighter color was standardized in the early 1950s. 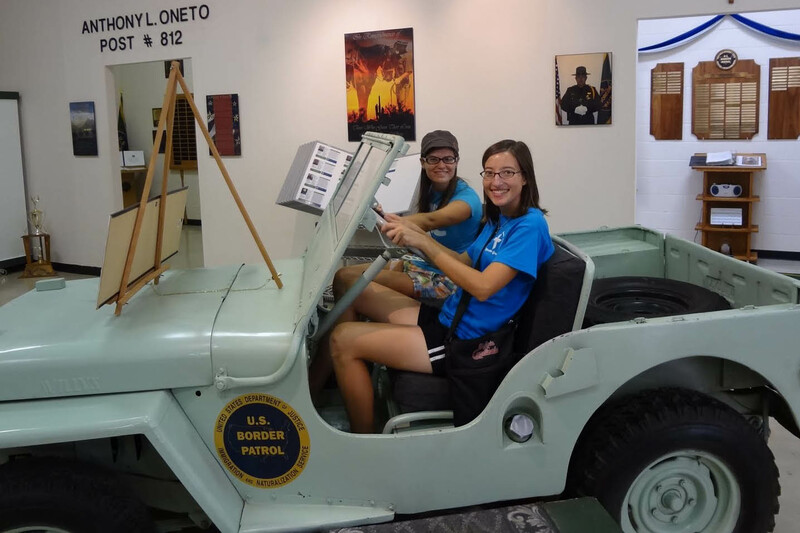 Thanks to Dave Eilers who snapped this one during his visit to the Museum, as reported at eWillys. 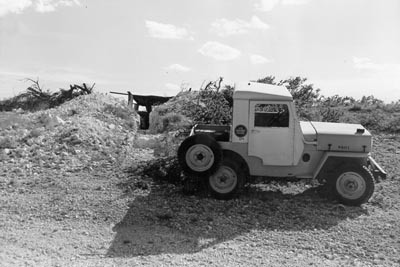 Here's a pretty interesting photo found by Federico Cavedo -- date and location unknown. 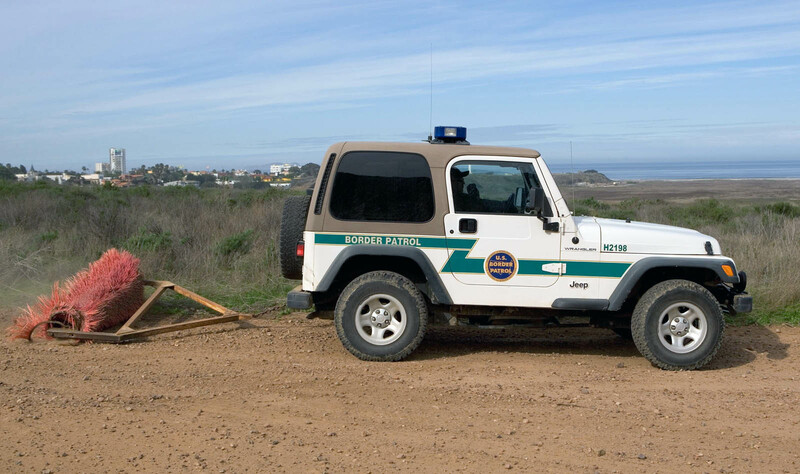 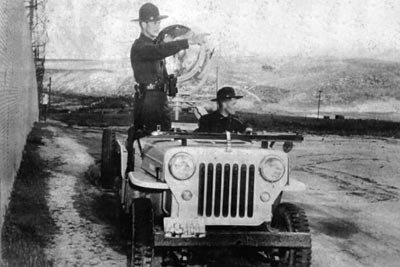 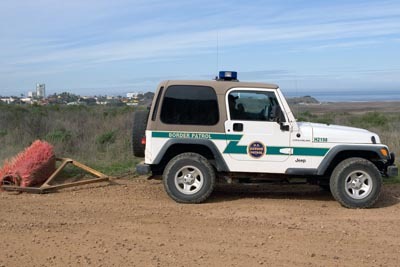 A CJ-3B, apparently in USBP light green, has a large searchlight mounted in the back, and stands next to what appears to be a border fence. 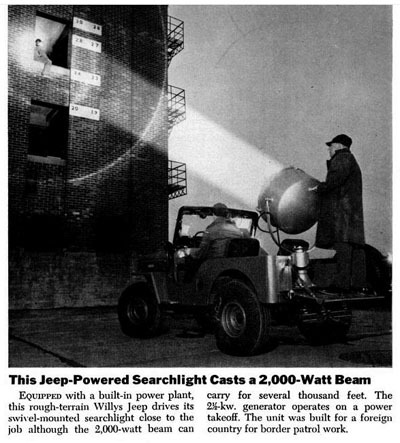 The Jeep-mounted searchlight above is very similar to this one seen in the July 1956 Popular Science magazine! 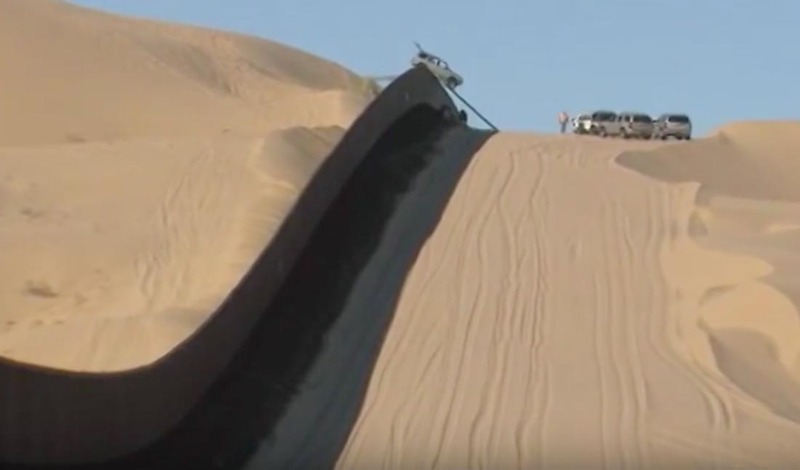 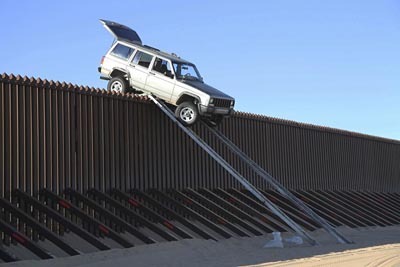 The caption says it was "built for a foreign country for border patrol work." It also says the 2500-watt generator is PTO-powered. 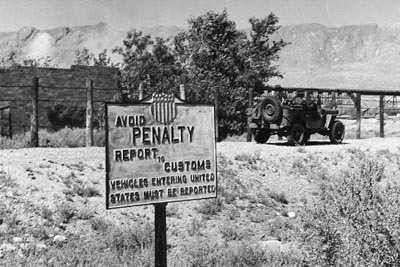 United States Border Patrol at Wikipedia. 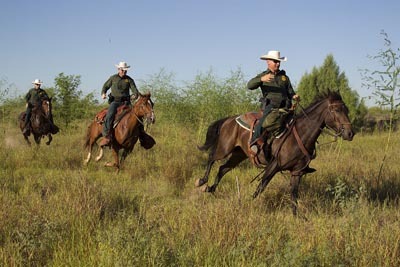 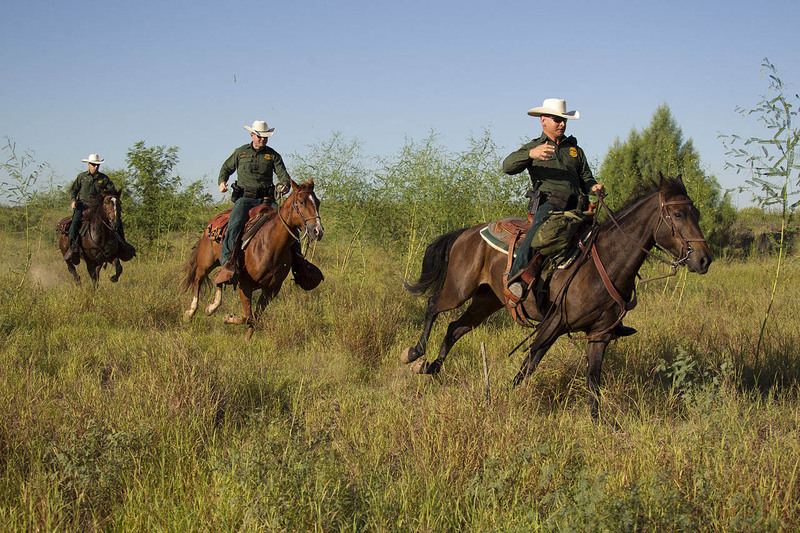 Photo from "History of the Border Patrol," courtesy of the National Border Patrol Museum. 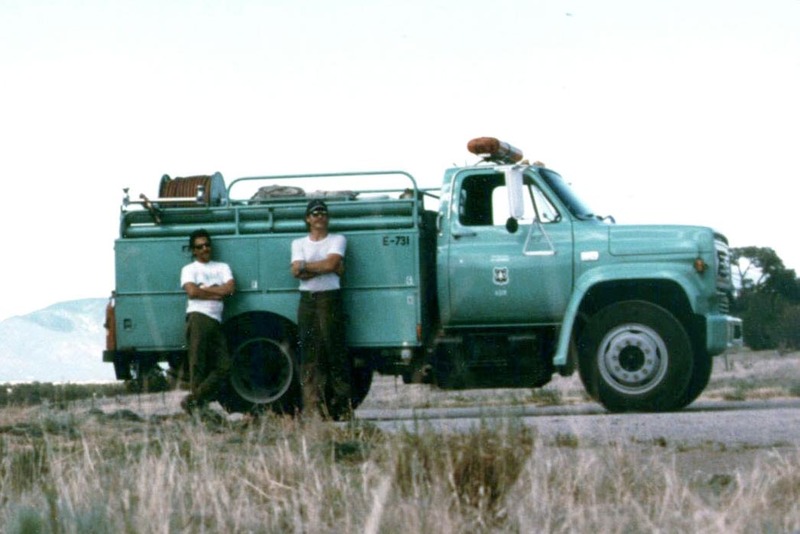 Tahoe National Forest Fire Engine 731 and Crew in June 1990. 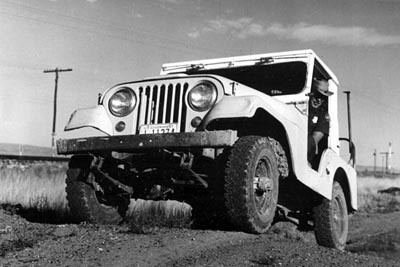 Photo by Corsair1944. 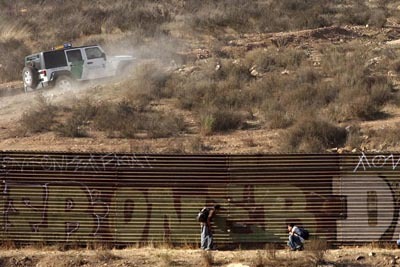 Desert Duty: On the Line with the U.S. Border Patrol by Bill Broyles and Mark Haynes, 2010. Photo courtesy Randy Mallory and the Texas Historical Museum. 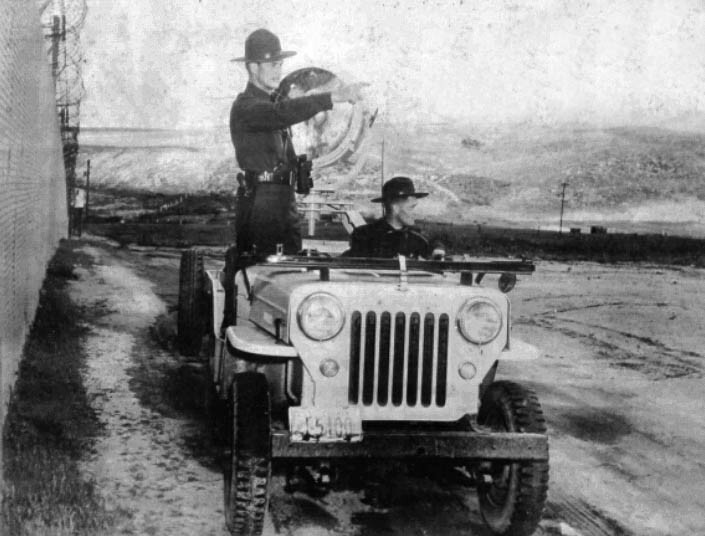 National Border Patrol Museum photo, collection of E. Turner. 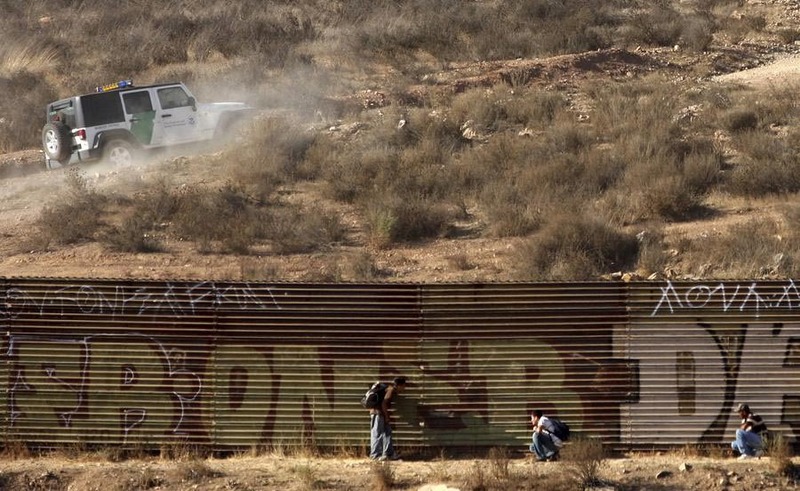 On the Border by Alan Taylor, The Atlantic , 6 May 2013. 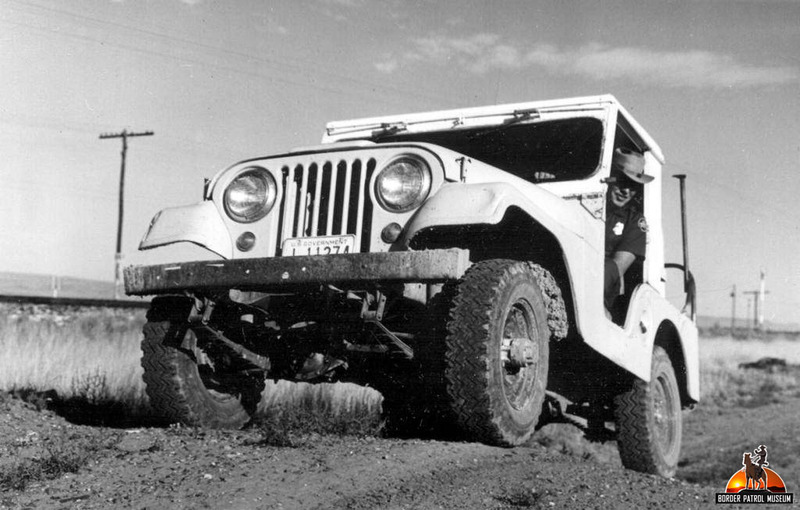 Photo courtesy SoCalRubicon on wranglerforum.com. 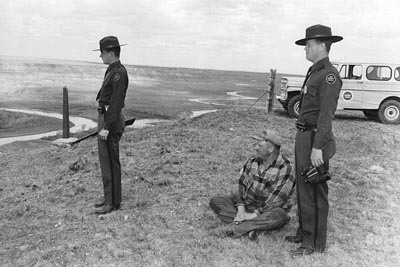 Photo by Gerald L. Nino, U.S. Customs and Border Protection, at Wikimedia Commons. 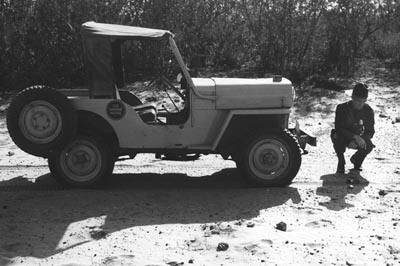 Photo by Donna Burton, used under Creative Commons. 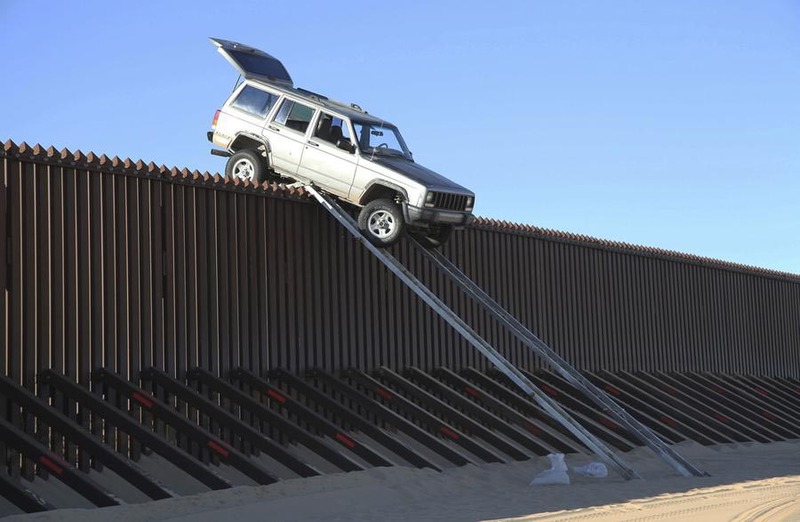 AP Photo from U.S. Customs and Border Protection. 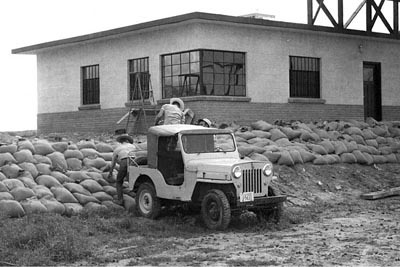 Return to CJ-3Bs in History.